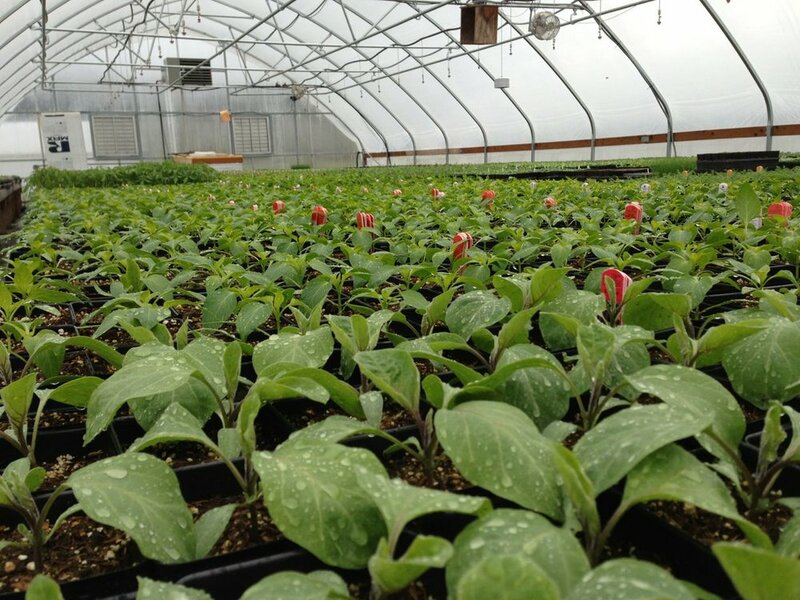 Sunseed Farm has been providing certified organic plant starts to the Puget Sound region since 2001. 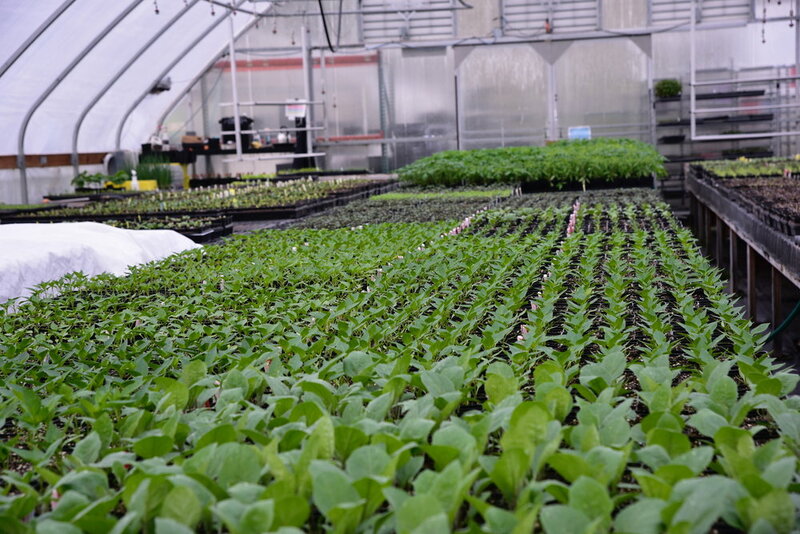 In addition to our primary business of selling organic plant starts to garden centers and nurseries around puget sound, we are happy to provide an organic option to fellow farmers looking to jumpstart their early season production. Primarily, this means warm season plug trays of tomatoes, peppers and basil available for pre-order. Additionally we will be doing some specific “custom grow outs” of other plugs trays on request. See below for details and ordering information, because the 2019 growing season is almost here! Tomatoes: Brandywine, Green Zebra, Cherokee Purple, Big Beef, Early Girl, Amish Paste, Sungold, Sweet Million, Pink Bumblebee, Defiant, Valencia, Black Krim, Juliet, Moskvich, Red Pearl, Rose, San Marzano, Striped Roman, Siletz, Viva Italia, and Yellow Pear. Peppers: Ace, Gypsy, Serrano, Early Jalapeño, Corno Di Toro, Lunchbox Orange, Padrone, Anaheim, Thai dragon, Cayenne, and Cherry Bomb. Eggplant: Orient express and Galine. Basil: Nufar, Genovese, Thai, and Rosie. Main season veg: Arcadia and Marathon broccoli. Amazing and Denali cauliflower. New Red Fire, Coastal Star, and Green Star lettuce. Lacinato, Red Russian and Winterbor kale. Fast Vantage cabbage. Onions: Walla Walla, Ailsa Craig, Patterson, Ruby Ring, and Kincho. Tomato, pepper, basil and onion orders are due by 1/1/19. Main season crops require 5 week lead time. Pricing is for solid flats of a single variety. Split flats will add an additional $10 per extra variety. Stock varieties of tomato, pepper, basil and onions have a minimum order of five flats total. Main season crops have a separate minimum of five flats per delivery date. 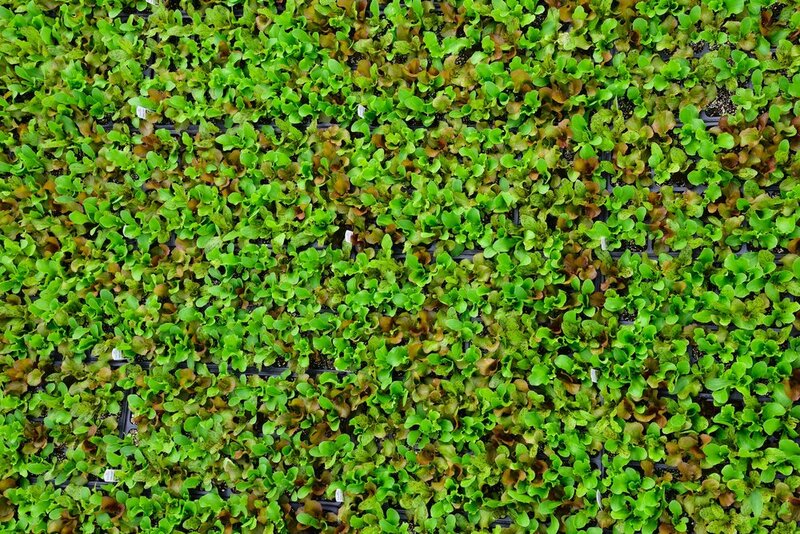 Custom varieties (must be available from Johnny’s Selected Seed or Osborne Seed) are available with a ten flat minimum order per variety. Additional charges may apply for high cost seed varieties. Which flats would you like, and when would you like them? Will you get them at the farm, the Bellingham Farmers' Market, a Skagit meeting place, or are you looking to qualify for free delivery? Thanks for your inquiry. We’ll be in touch soon! If you are interested in our full wholesale price list of nearly 200 different four-pack and 3.5” pot flats, please inquire below. When ordering, please specify which week or weeks you would like to receive your trays. Plants will generally be available for pick up at our farm in Acme, at the Bellingham Farmers’ Market, or at another prearranged meeting location in Skagit County. Orders over 40 flats for a given week may qualify for free local delivery in the Whatcom/Skagit vicinity. Similarly, orders over 160 flats may qualify for delivery into the Seattle area.